If the universe is infinite then you are at its very centre. The notion is momentarily intoxicating until you realize that so is everywhere and everyone else. Twin that thought with the three or four score we’ll be here while the universe celebrates its 13.8 billionth birthday. Both facts invite humility just as we need more of the stuff. 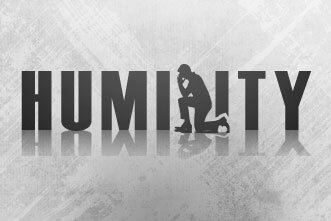 Humility is not the surrender of self-confidence or the abandonment of ambition. Rather, it is the conquering of the self-defeating twin demons of ego and narcissism. Humility offers the road to happiness and ticket to redemption. With humility, accomplishment can be celebrated as the team effort it always is; the immediate team with which you attained the goal and the accident of your birth that put you at the right time in history, the right place on Earth, and with the right genes and health and doses of luck and ability to work in the first place. No team can thrive without humility. 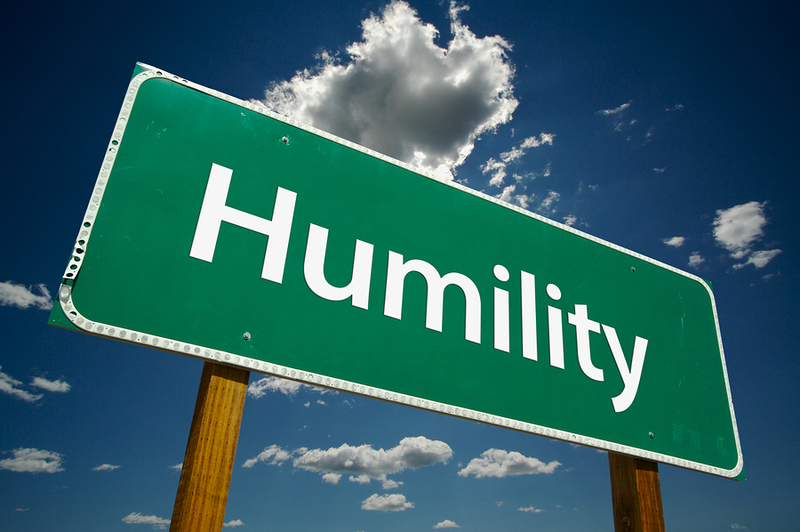 Without humility, a boss can only be a bully and a parent only a boss. 1. Cool is a Myth: I recall the day it happened. I was with colleagues on a Friday afternoon when it was whispered, “Look over there. All the young people are deciding what they’re going to do tonight.” My eyes widened. How did that happen? I thought I was one of the young people. Most people in their twenties think they’re cool. Most in their thirties worry that they are no longer cool. In their forties, many swear they don’t care about no longer being cool. Most folks in their fifties realize they were never really cool at all. Test yourself at the next wedding or party. Try to find that person on the dance floor that made you giggle as a teenager. Can’t find him? Then it’s probably you. Rather than standing as King Canute on the thundering, relentless shore, humility offers the option of laughter, the tranquility of acceptance, and comfort in one’s inevitably aging skin. 2. There’s Always Someone Better: I have played guitar since I was nine years old. I’ve played and sung in bars, clubs, and coffee houses and my band still plays a monthly gig at Lakefield’s Canoe and Paddle pub. Last Sunday I was plugged in and enjoying a loping run along the river when Brian Setzer’s version of Mystery Train stopped me in my sweaty tracks. His guitar work was stunning, masterful, and unearthly. I clicked over to YouTube to hear more of his work of which I had always been sort of aware but never paid adequate attention to. He makes the guitar sing. Back home, my trusty Gretsch felt like a fence post in my arms. I resisted the urge to put it on eBay. Only slowly did I regain my composure and re-dedicate myself to the instrument. Humility allows the realization that not being the best, or even in the same ballpark as the best, is never a reason to quit or stop trying to improve. Humility invites us to imagine the tragic silence of a forest where only birds with the best voices sing and then find our song. 3. Some Things Can’t Be Fixed: Last Wednesday I held my three and a half month old granddaughter. I know how lucky I am that she and her sister live so close and that I see them nearly every day. On this morning, however, she was screaming. Tears flooded her squinting eyes as she launched into the vibrating cry that shakes parent’s and grandparent’s souls. Her first tooth was poking through with the pain that, I am told, would drop any adult to their knees. Worse, is that infants live in the moment and so, in their minds, the agony will never go away. Worse still, for me at least, was that beyond the gel, teething toy, and cooing comfort of the gentle sway, there was nothing I could do, nothing. Sometimes there is, indeed, nothing you can do. Sometimes, no matter who we are or who in our society to whom we turn, it can be neither avoided nor fixed. Pain will be suffered, disease will strike, an accident will happen, and a loss so devastating as to urge quitting it all will occur. Character is not made in those moments, it is revealed. Humility is character’s handmaiden. So let’s praise the examined life, the charm of folly, the seeking of goals rather than credit, the experience rather than the picture, and the humble acceptance that we are what we are for the speck of time we’re here. With humility as our guide, our brief journey will be a whole lot happier for ourselves, for those with whom we work and play, and especially for those we love and love us back and make the trip worth taking. ← Corporate Coup: Where Have You Gone Teddy Roosevelt? I enjoyed reading this John. I especially like the line “seeking goals rather than credit. Very nice. Thanks. John – thank you for expressing what may well be the three most important thoughts/messages for living a happy, well-adjusted and meaningful life. John – I loved your ‘humility’s 3 lessons’. These thoughts also resonated strongly for me: 1. ‘humility is character’s handmaiden’ (‘character is not made in those moments, it is revealed’), and particularly, 2. ‘humility allows the realization that not being the best is never a reason to quit or stop trying to improve’. There is happiness and even joy, within the seeking, striving, practicing, goal setting ‘less than best’ moments. This is a powerful, and also practical message for anyone facing a new stage of life like I am, and maybe even most important for our near adult children, who will face many more jobs, careers and stages than even we have faced. I hope you share it with the kids you teach.